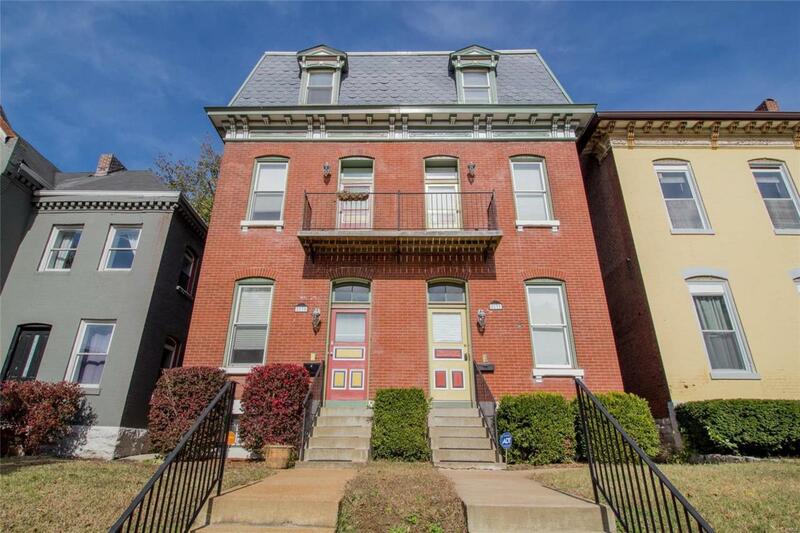 MUST SEE this fantastic three-story, 3 bedroom/2.5 bathroom townhouse in the Historic Benton Park neighborhood! 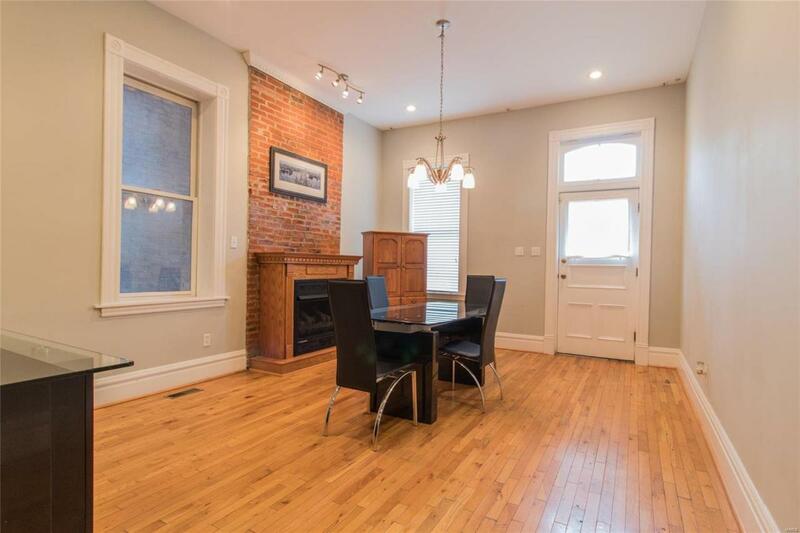 10' ceilings and beautiful hardwood floors stretch throughout the main level, showcasing an open living room/dining room, gas fireplace, exposed brick accent wall, half bathroom and access to the basement. The modern kitchen features granite countertops, stainless steel appliances, plenty of counter and cabinet space and a bonus breakfast area. 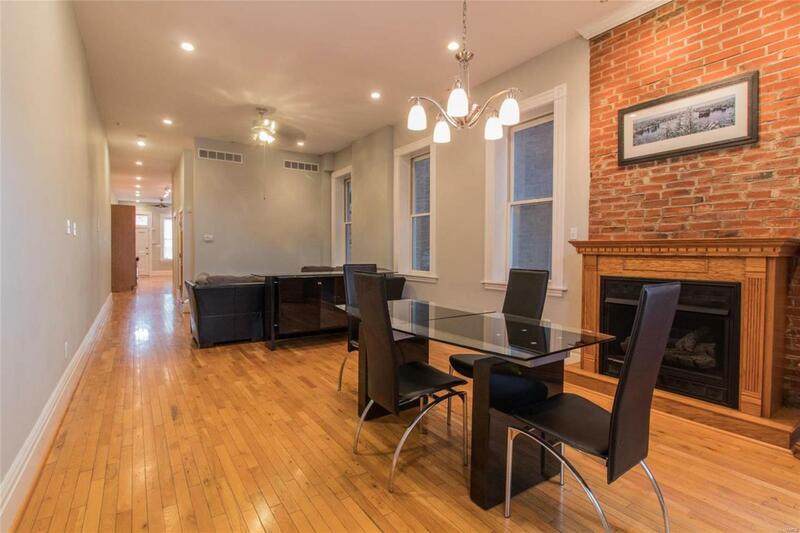 The second floor houses a convenient laundry room and two spacious bedrooms with walk-in closets, one bedroom featuring it's own gas fireplace, cork flooring and access to the front balcony! The second floor bathroom and third floor master bathroom include a whirl pool tub, separate shower and double sink vanity! 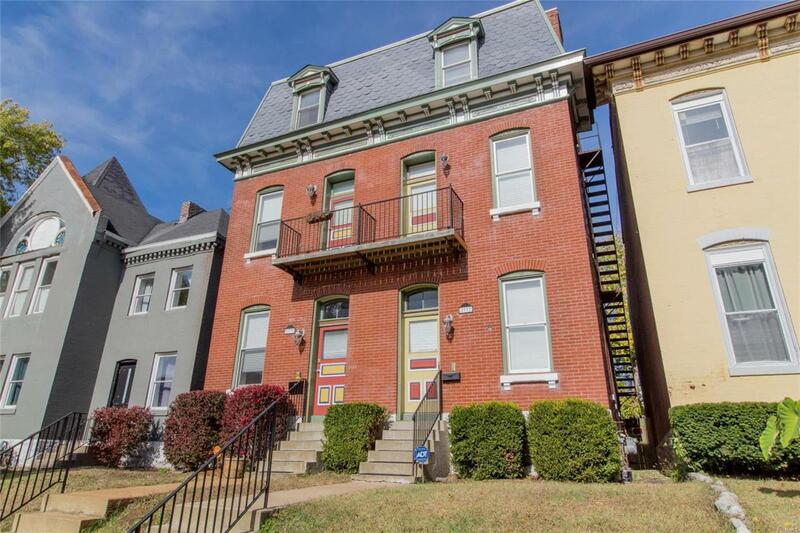 This home also features rooftop access, two car garage, and a low maintenance backyard with patio and green turf!